At a press-conference on Wednesday, Government spokesperson Mile Bosnjakovski commented on several topics. Regarding Gjorge Ivanov’s decision not to sign 11 laws, he stated that everyone in Macedonia, including the President, was bound to respect the Constitution. “We expect to meet the deadlines because they are a package of key reform laws,” he stated. 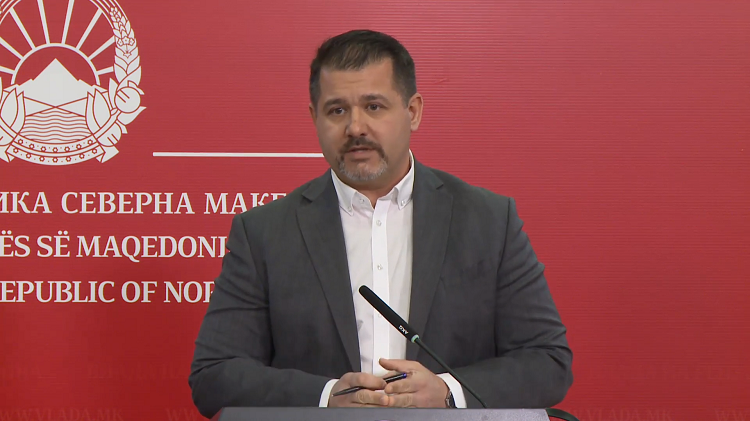 At the press-conference, he also explained the statement made recently by FM Nikola Dimitrov that the Macedonian language didn’t concern Greek Macedonians. In that regard, Bosnjakovski stated that the Government wouldn’t discuss the self-determination of ethnic communities living in Greece. “There is a certain category of the population in the Republic of Greece that doesn’t speak in Greek, that speaks in another language. However, we aren’t the ones that will determine who speaks in which language. That would be interference in another country’s internal affairs,” the spokesperson stressed.